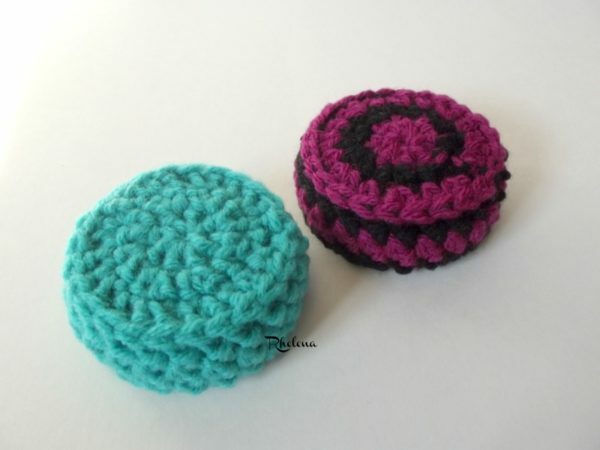 The lid measures 6cm across the diameter and 1.5cm high. I looked in my cupboards to find a similar lid, but couldn’t find one at the moment. If you can’t find one you might be able to adjust the pattern for a different size lid. And, feel free to crochet this in any colors. I worked one in a single color, and the other in a two-toned color. As you can see, I didn’t do my color change very good. 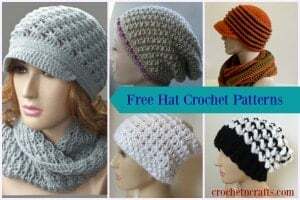 For a cleaner look, use a standing crochet stitch to begin each round instead of carrying the yarn. Also, this pattern has not been tested by anyone other than me, so please let me know if you run into any problems. 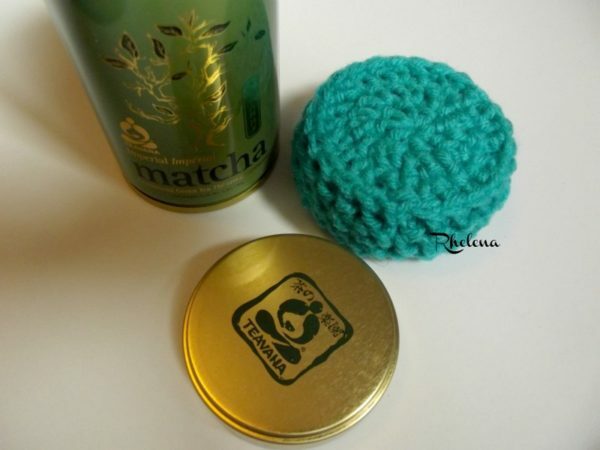 Lid: I used a lid from a Matcha tea can with a measurement of 6cm across diameter and 1.5cm high; any similar lid will do. Join new color in joining sl st of each rnd. Carry yarn up at each round. Or, for a clean start at each new round, use a standing crochet stitch. 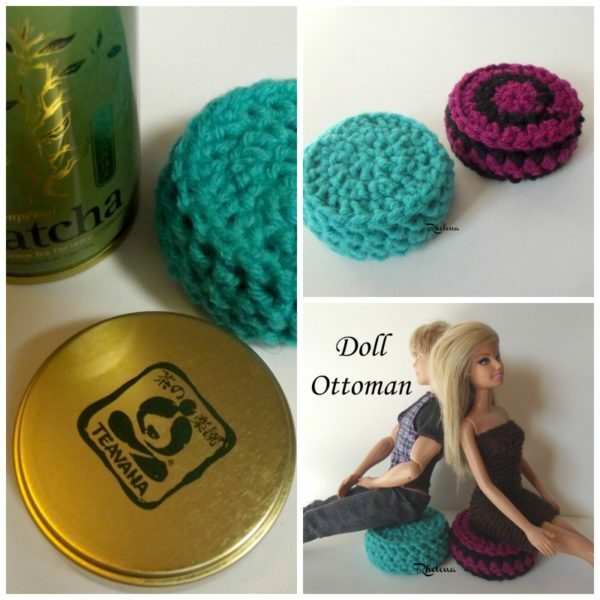 You can also omit the color changes and crochet it in a solid color. Note: Do more or less increase rounds depending on your lid. Rnd 6: With CB, rep rnd 5. Do as many rows as needed to cover the side of lid. Note: You might want to Fasten off CB and weave in the ends after you make your last color change. Rnd 7: Place cozy over lid. With CA, Ch 1, sc in same st as join, sc2tog, *sc in next st, sc2tog; rep from * around; join with sl st in first sc. Fasten Off.